This is the full, unofficial and uncensored story of one of the greatest football clubs in the world. It brings to life the sensational early successes of the great Anglo-Scottish team before the First World War and follows the club's successes as Cup giants in the 1950s and European conquerors in the 60s, to the Macdonald and Keegan squads of the 1970s and '80s, to its rebirth in the 1990s and through its trials and tribulations of the first decade of the 21st century. 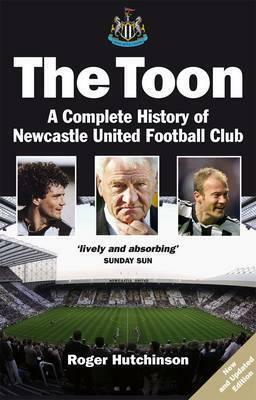 Exploring and explaining the lean years as well as the successful decades, Roger Hutchinson brilliantly portrays the managers and players throughout the club's long history and brings the story right up to date as, after the relegation traumas of 2008/09, Newcastle United looks forward to a resurgence in their fortunes as they return to the Premiership in 2010. Roger Hutchinson is an award-winning author and journalist. After working as an editor in London, in 1977 he joined the West Highland Free Press in Skye. Since then he has published thirteen books, including Polly: the True Story Behind Whisky Galore. He is still attached to the WHFP as editorialist and columnist, and has written for BBC Radio, The Scotsman, The Guardian, The Herald and The Literary Review. His book The Soap Man (Birlinn 2003) was shortlisted for the Saltire Scottish Book of the Year (2004). Calum's Road has been a huge bestseller, shortlisted for the Ondaatje Prize (2007) with film rights sold.